Our daughter is a terrible sleeper. Like, seriously, terrible. At ten months old, she had only slept through the night a handful of times and it was always hit or miss. With that said, she still sleeps horrible when she is in an unfamiliar environment. For that reason, it is extremely important when we travel to make wherever we stay feel like home. The extra level of comfort takes minimal preparation but will nurture and encourage a sounder sleeping environment when staying in a hotel with a baby. 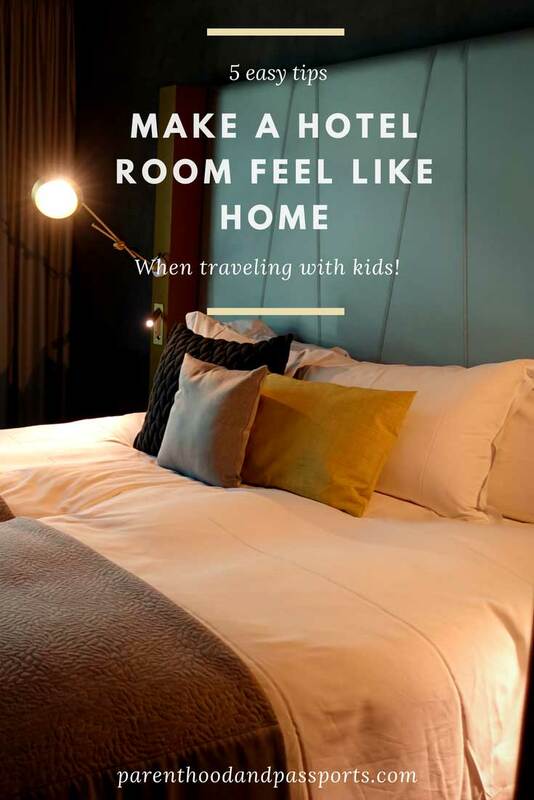 If you also struggle with getting your baby or toddler to sleep in a hotel, these few simple steps can help your terrible sleeper feel a little more at ease when you travel. The key is to mimic your child’s sleeping environment at home as best as you can. Many hotels have roll away cribs or pack n plays that you can use during your stay. Those are often first-come-first-served, so call ahead to request one. This will ensure you aren’t left without a safe and comfortable place for your baby to sleep when you get there. While on the phone with a hotel representative, make sure they specify whether the baby bed provided with be crib or a pack n play. That information will be beneficial for tip #2. If the hotel does not provide a crib, I would recommend bringing a lightweight, portable crib. This one is great because it has convenient straps that allow you to carry it on your back. Once you find out if you will have a crib or a pack n play, bring a fitted sheet from home for that particular type of baby bed. 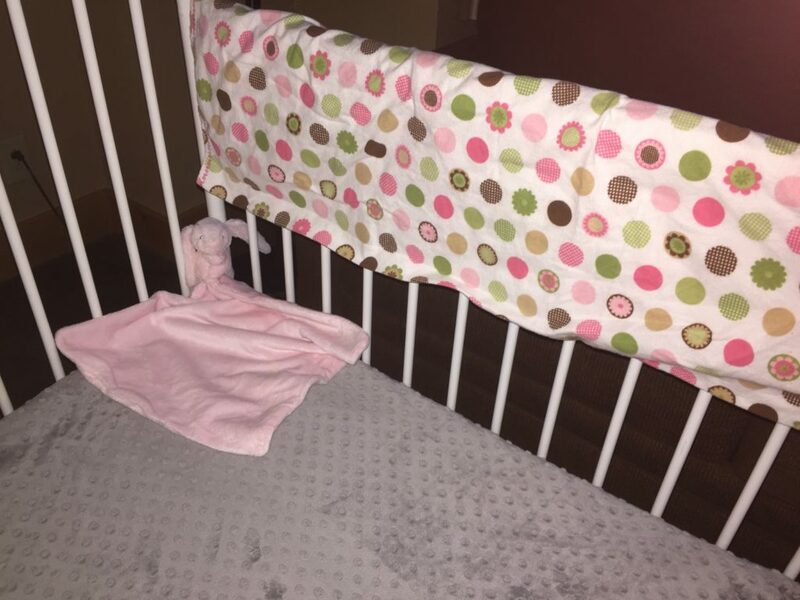 You’ll score extra comfort points with your little one if it is the sheet they slept on the night before in their crib. The sheets will smell and feel familiar, which will make your baby feel more at home in the hotel. My daughter has always loved her soft, minky sheets, so bringing them with her instantly makes her feel more comfortable when it’s time to sleep. This one is a bit tricky on vacation but it’s possibly the most important tip when staying in a hotel with a baby. Sleep and routine are vital for babies and toddlers. So plan your daily activities and attractions around their typical nap time and bedtime. For us, that has means waking up early, eating an early dinner, and turning in early for the night. We are usually back in the hotel room at 7 p.m. so our daughter can be in bed by 8. As she gets older, her bedtime will obviously become later and we’ll be able to spend less time in the hotel room and more time out and about, but for now, we stick somewhat closely to her daily routine. While on vacation, from time-to-time she has napped in the baby carrier. Either way, we make sure she gets her sleep one way or another. We also follow the exact same bedtime routine as we do at home: bath, song, bottle, bed… That sets the stage for a better night’s sleep. Every night, my sweet baby falls asleep with the same little blanket/stuffed animal. When she wakes up in the middle of the night, she often looks for that lovey and then falls right back to sleep. That familiar item goes with us everywhere. Once again, having a small piece of home helps put her at ease while we are traveling. Loveys are great because they are compact enough to fit in a diaper bag or a carry-on bag. Since her birth, we have used a white noise machine in our daughter’s nursery to help drown out any outside sounds. She now associates that white noise with sleep. So, just like her lovey and her sheets, we bring that small compact white noise machine with us. I’ve linked to the one we use. We love it! Traveling with a baby, ultimately means traveling with more stuff. But if it encourages a good night’s sleep, the extra stuff is well worth the space in your luggage. 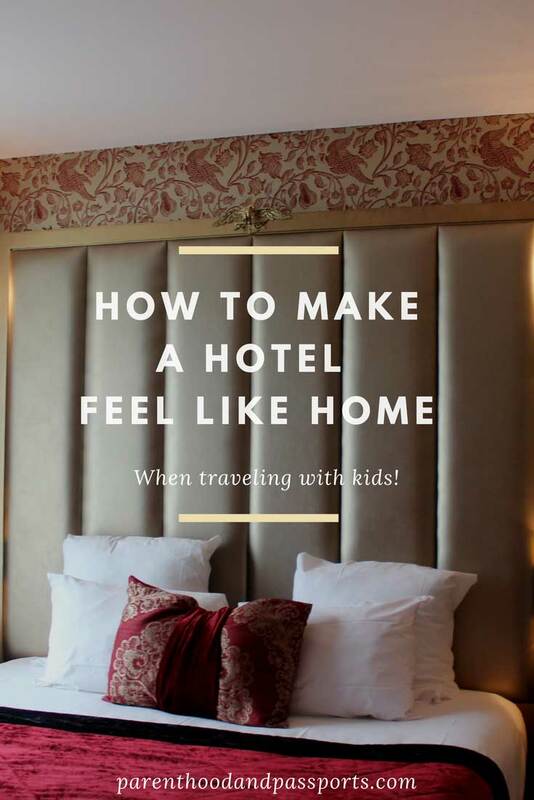 Have you stayed in a hotel with a baby or toddler? What other tips do you have? Leave us a comment and let us know your best travel hacks with kids. Great tips, Damon and Melissa! It is possible to make a hotel like home with your advice. We are currently looking for a hotel to stay on during the weeks that we’ll be visiting our relatives. 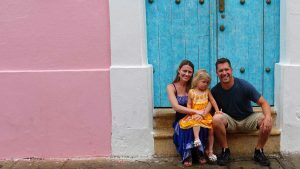 My husband is very fussy when it comes to staying at a different place, so I thought that it would be great if I can make our stay feel like home. I love that you suggested bringing our own sheets since the scent of our own house will make it feel familiar with our home. Thanks for the idea! I appreciate the tips on how to make an extended stay feel like home. Thank you for these fabulous awesome tips.